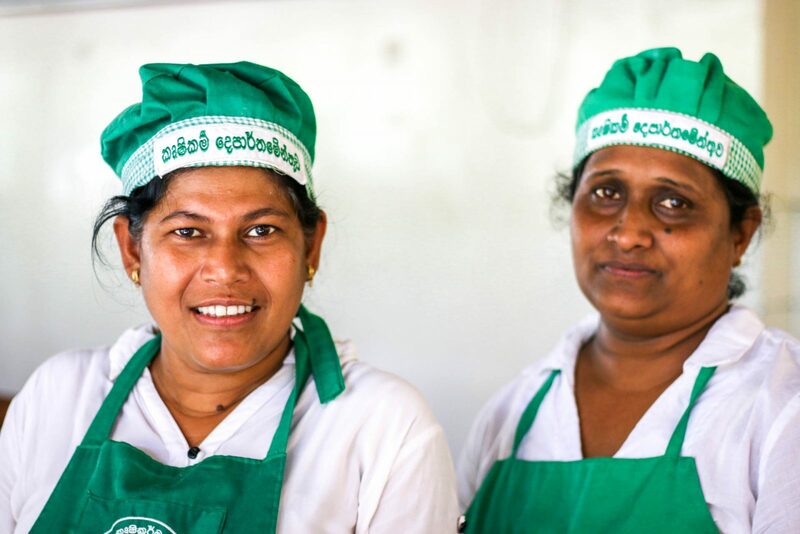 Although Sri Lanka has improved in efforts to limit the gap, gender-inequality is still strongly ingrained throughout society. In the work place, women are paid less, and in worse cases, they are forced to stay at home, financially dependent on their husbands or family. Although property rights are commonly more favourable to women, a strongly present patriarchy, arranged marriages and the dowry system, both legal and illegal, puts pressure on the social status of women. 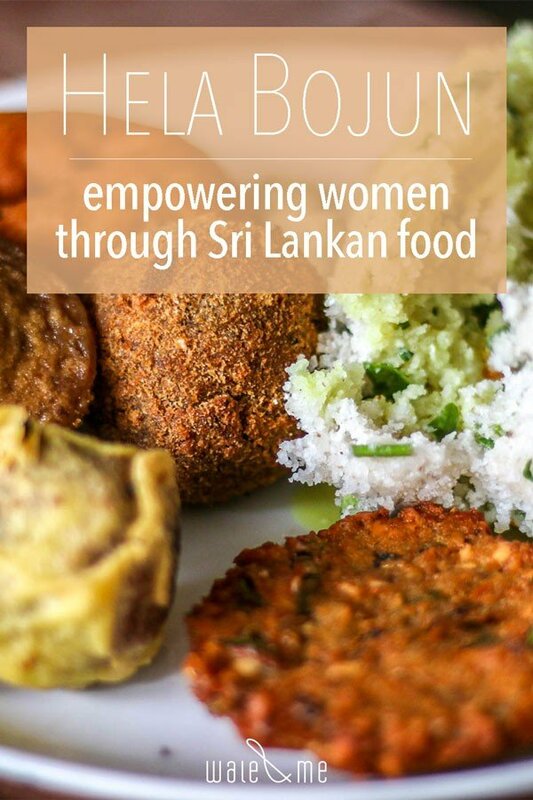 Clearly much needs to be done in Sri Lanka to empower women. Luckily initiatives can be found that try to change things around. The government sees the potential and necessity for efforts to be made in empowering women. Even if slow and at a small scale, any progress made is worthy of praise. Hela Bojun is such an effort. 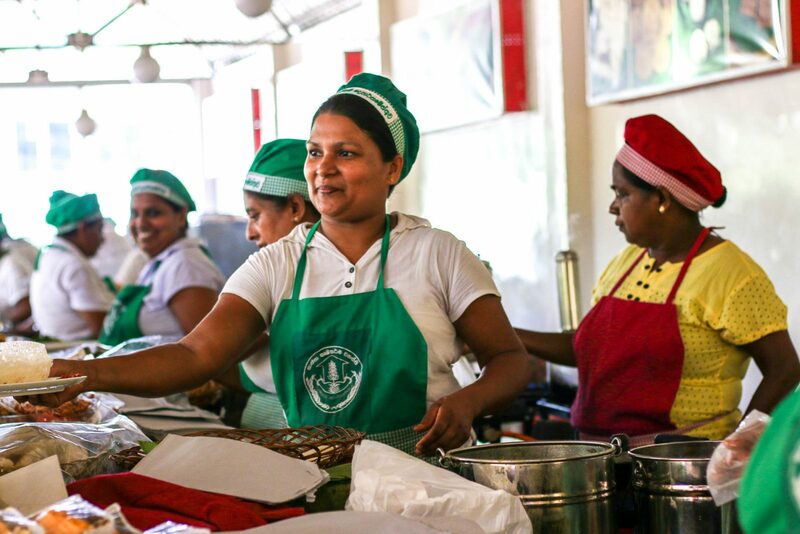 Started by the department of Agriculture in 2006 in Kandy, the second largest city of Sri Lanka, a concept was enfolded to promote local and fresh food. At the time, it didn’t comprise much. 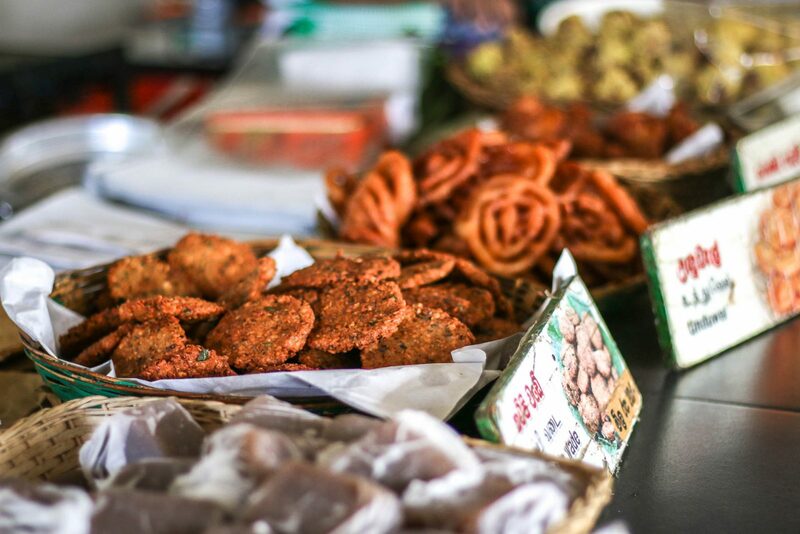 Women sold traditional food from mobile carts and small shops for affordable (subsidised) prices. 2012 marked a turning point in the project. 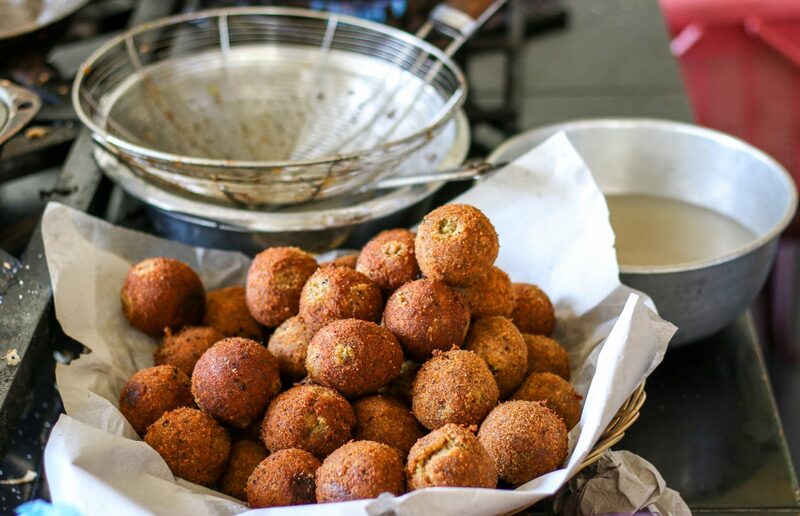 The ambition was formed to open a food court that employed local village women to sell their own food daily. The food court would include multiple independently run stalls under one roof and name, guaranteeing quality and exposure. The project was a success, with new Hela Bojun food courts opening up all over the country in the years to come. 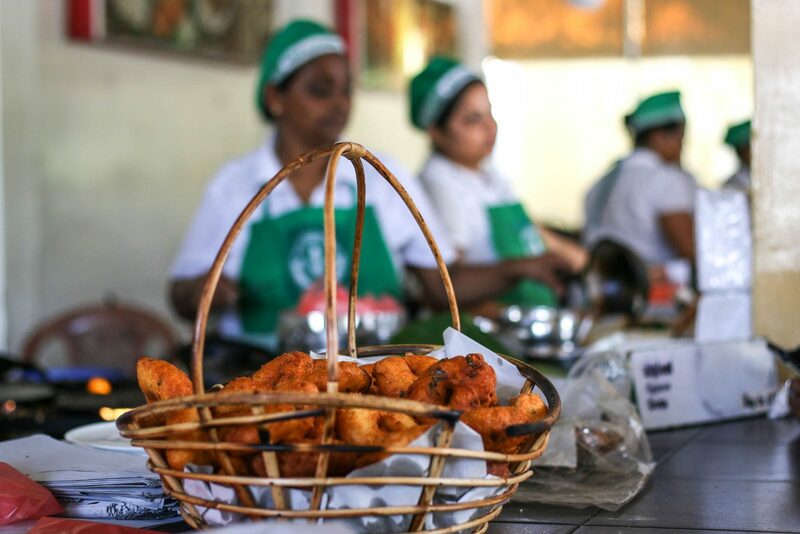 The concept comes at a time when Sri Lanka’s eating out culture is shifting. Traditionally, cooking was very important in the households, and eating out was a rarity. But modernisation, accompanied by fast food joints from the West opening everywhere, has led to younger generations choosing to eat out more. Obesity levels are rising rapidly, and the interest for global food delimits the appreciation for what can be locally found. Like all over the world pesticides and herbicides have found their way to the food production, and processed foods have translated into a lack of knowledge on what ingredients people are consuming. 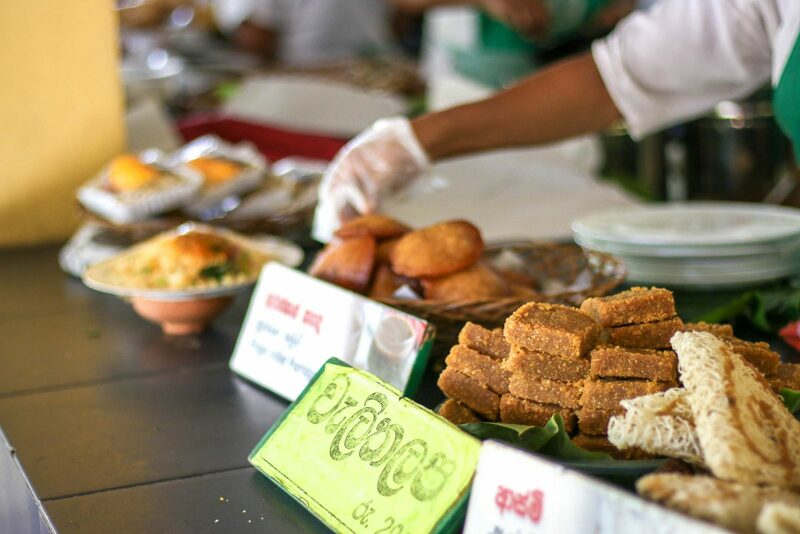 Despite these trends, the focus on local and traditional Sri Lankan food of Hela Bojun seems to be paying off. 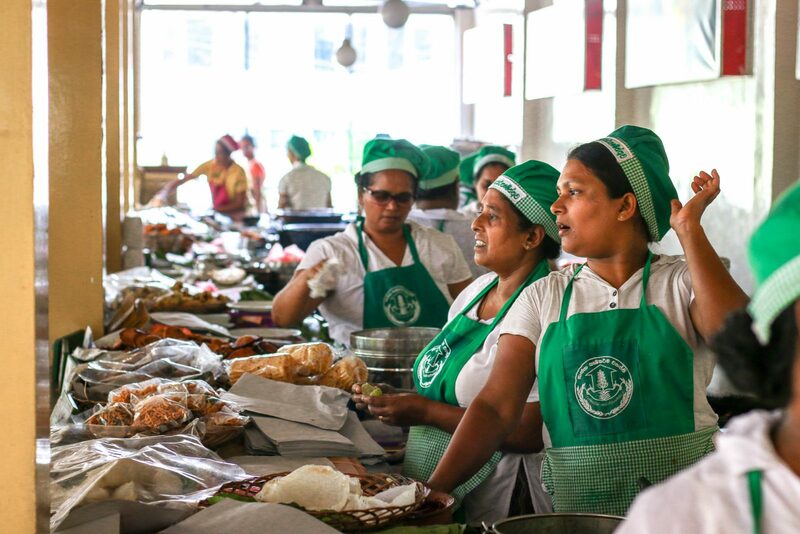 When visiting their food court in Kandy, it was jam packed, with locals mostly and the occasional foreign tourist. 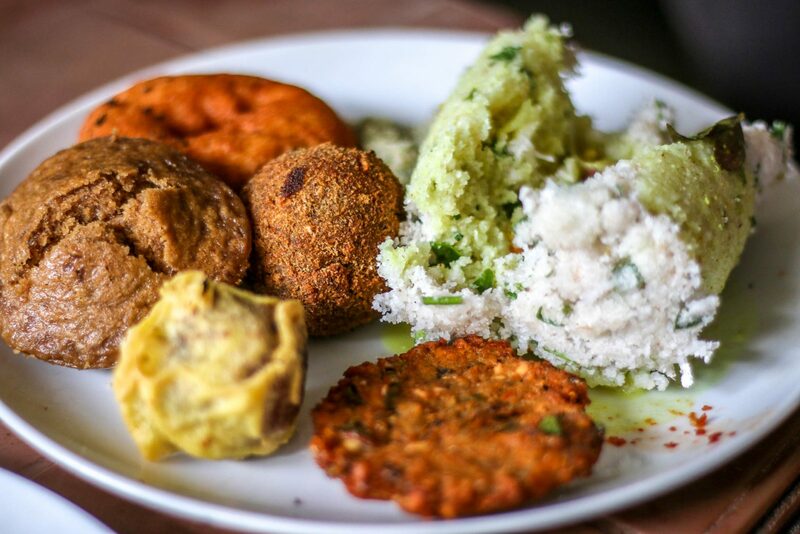 We really appreciated the dishes being solely vegetarian, and the varied offer of local food prepared was delicious. 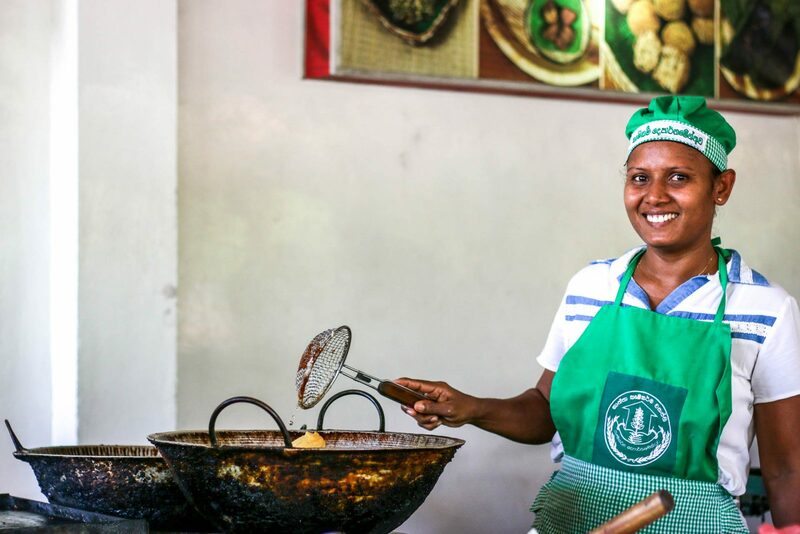 With Hela Bojun, the agricultural department seeks to fight the growing tendency of malnutrition, artificial ingredients and globalised eating habits, going towards a more sustainable, locally grown, chemical-free and traditionally served meals with healthy and only vegetarian ingredients. Steps are made towards a more environmentally friendly approach, reducing plastic waste by serving the meals with reusable containers and recyclable bags. Although delicious, we didn’t find it particularly healthy. 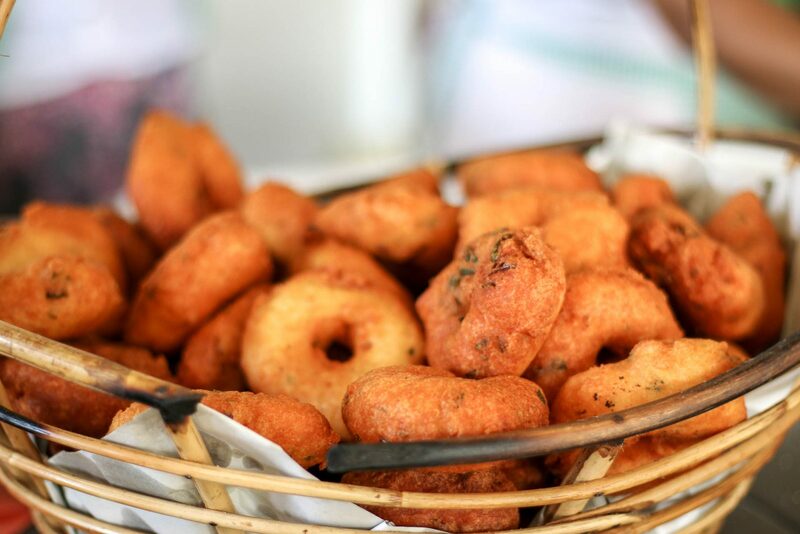 There was a variety of fried dishes and sugary sweets, but way less nutritious and healthy dishes. Hopefully in the future the agricultural department will focus more on supplying healthy options, to balance out the food currently sold. Having that said, the Hela Bojun food courts shows a lot of potential. 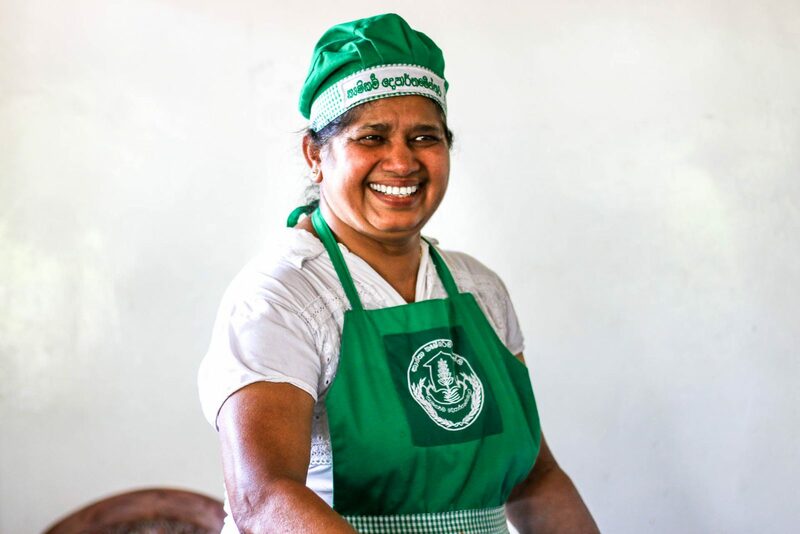 It is great to see their environmental awareness, that products are locally sourced, and, most of all, that traditional Sri Lankan food being valued and appreciated. But the most striking goal of this project is not the food, it is the women that are challenged to earn an independent living. 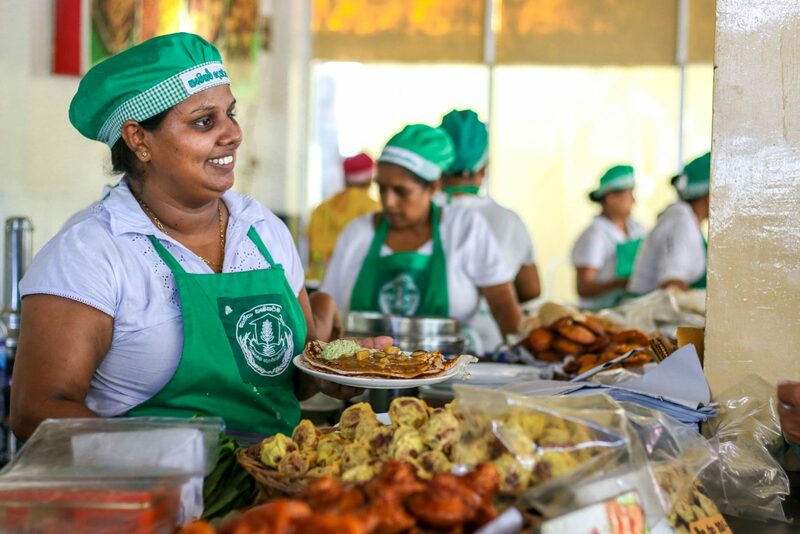 Hela Bojun is a gathering of individual women-run stalls coming together in one food court, thus empowering women to run their own businesses and become entrepreneurs. Women from rural areas are trained in hospitality, hygiene and financial management and a space is provided. 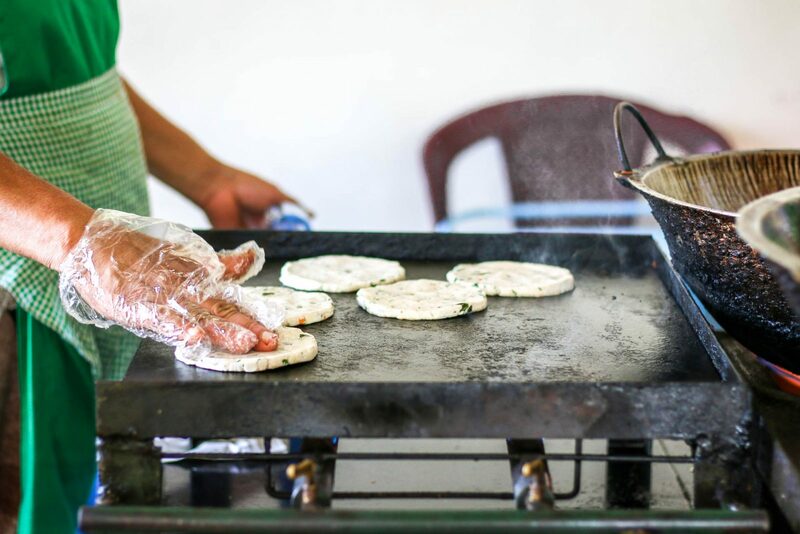 This joint to their cooking skills allows for them to earn an income with the food they make. Everything else needs to be taken care of by the women themselves. They pay their own electricity bills and rent for the building, which is kept at a low rate of 1000 LKR (around 5,5 euro) a month. They supply their own resources and products, and maintain the food court area. The women join the project through a local recruitment process, proving their cooking skills to a committee. After they are accepted they are not only trained but also supervised. 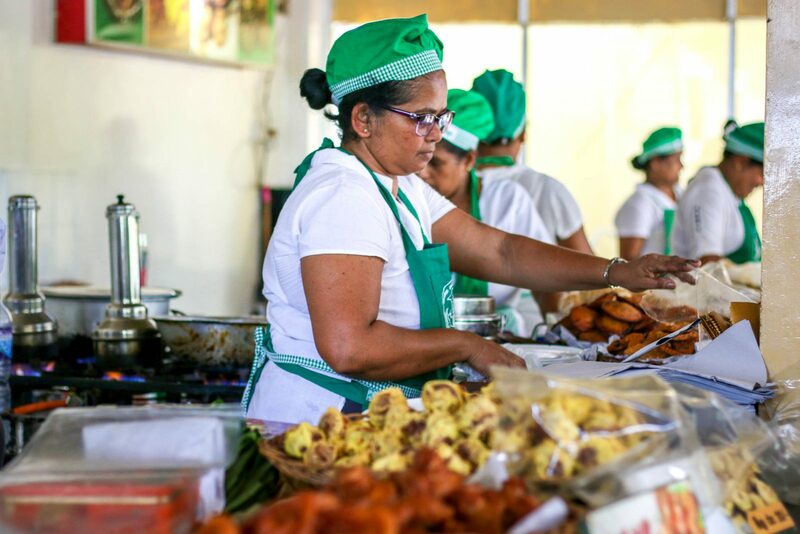 Sporadic checkups control the quality standards of the food, and the agricultural department makes sure that the women are doing well. 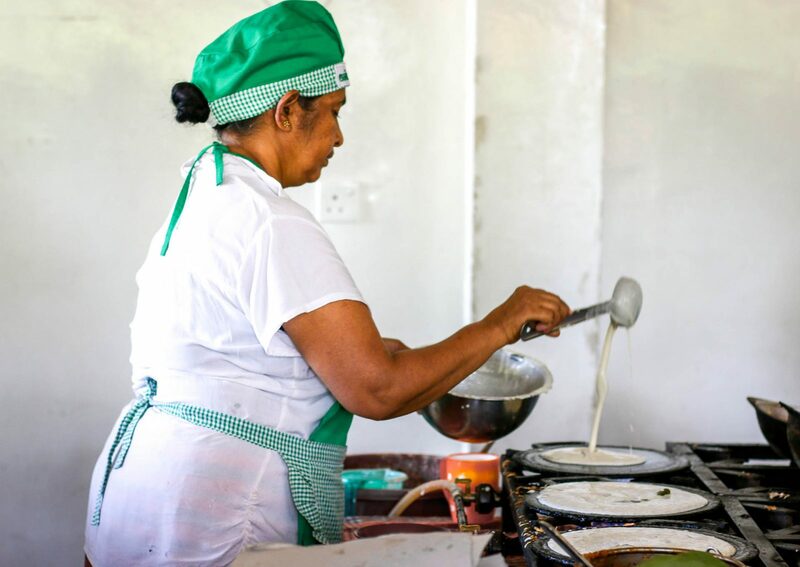 Every woman working in Hela Bojun can sell a maximum of three different dishes that cannot be changed. After two years, the positions rotate, and they can decide to continue what they do (they would have to be re-admitted), change the dishes they want to make, or find other work. 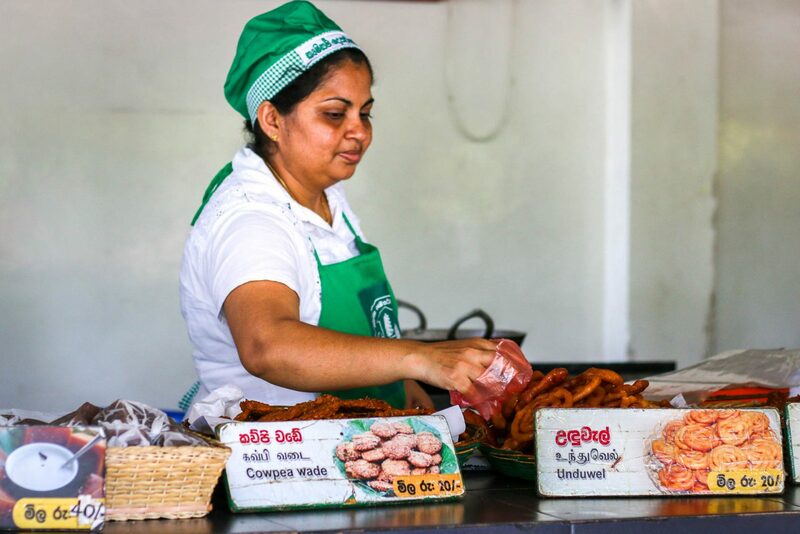 Although meals are sold at lower prices, which are kept at a fixed rate, the women make a proper (and sufficient) salary selling their products. They can sustain their family, even become breadwinners, and are able to save up. Some women have been able to invest in their own company or even start their own brands. Hela Bojun is a strong social, cultural and societal shift in which women can become independent in their work, development and life. Instead of enforcing equality laws, women empowerment is pushed through entrepreneurship, self-suffiency, and independent income streams. It counters the social construct in Sri Lanka where (married) women have to stay home and do the household chores. Hela Bojun has managed to find women empowerment in work and entrepreneurship through food. 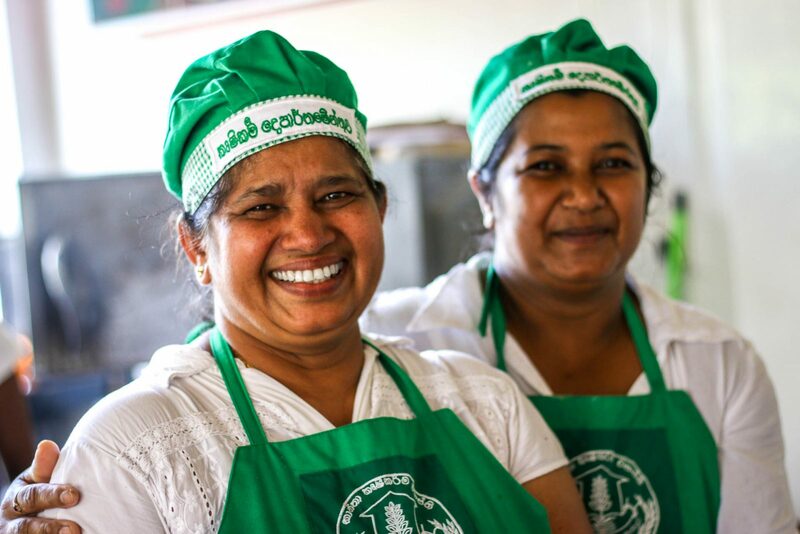 Women from rural areas produce, cater and sell their produce and promote local and traditional Sri Lankan meals. A couple hundred women already found employment through the project. It is an impressive bottom up approach that has shown great potential. And the food is delicious! 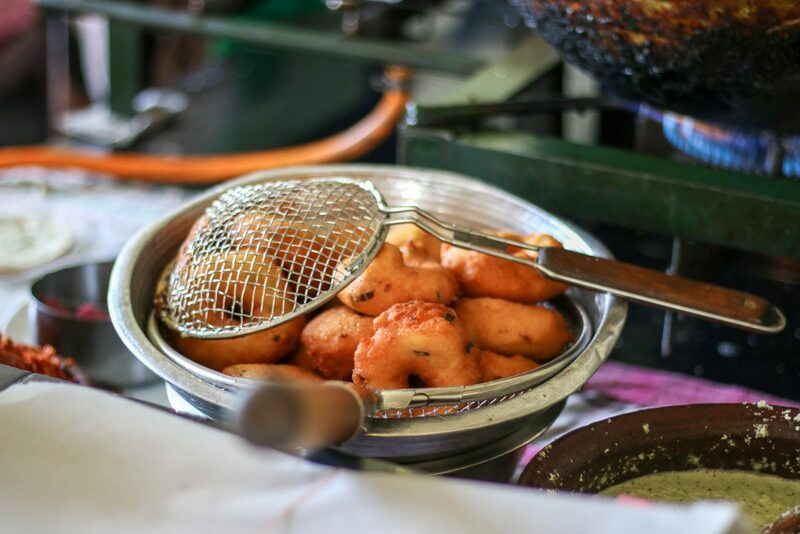 The article was written after visiting the Hela Bojun stalls in Kandy and Colombo. 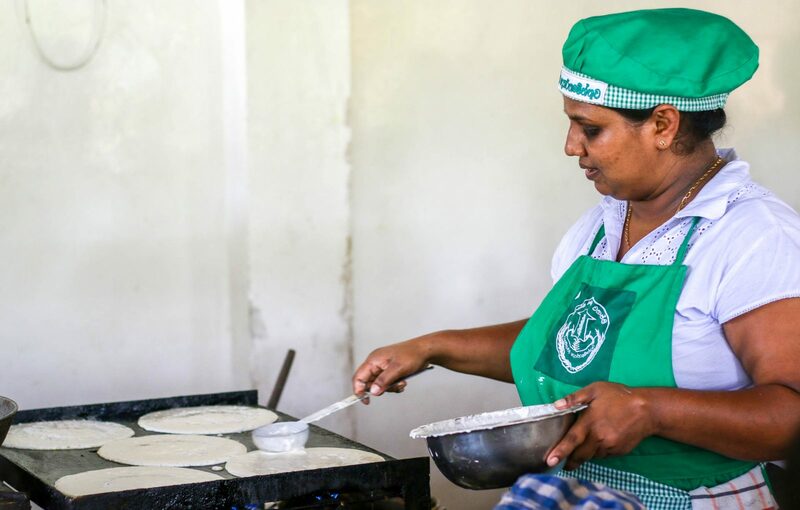 The information was gathered through conversations with some women of the stalls in Colombo, in conjunction to articles in local newspapers, and the website of the agricultural department. We have also tried to contact the agricultural department multiple times to ask for more in-depth information about the project, to no avail. If the Sri Lankan government truly believes in this initiative, it would be useful for them to make more efforts to promote it. 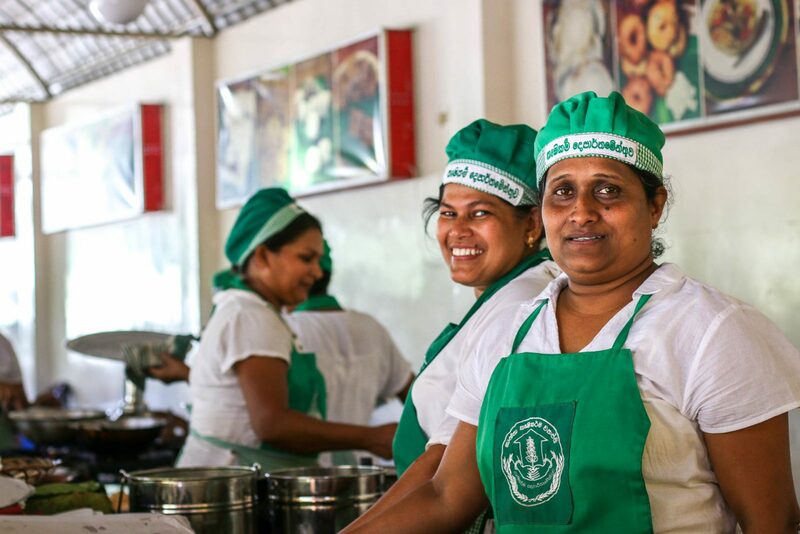 All the photographs were taken in the Hela Bojun food court in Kandy, Sri Lanka. Such a delicious iniciative!!! Thanks for showcasing!